First up, we're incredibly pleased to announce a new division of Bigshot focused entirely on fine art multiples. 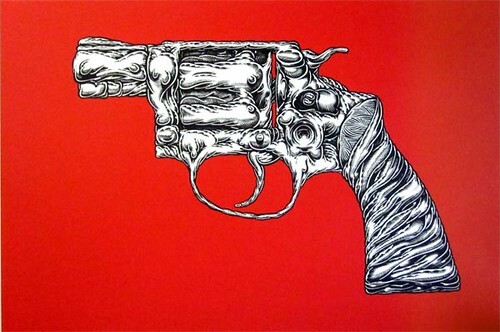 Bigshot Fine Art will be focusing on gallery-quality multiples, mostly produced for specific galleries and shows. 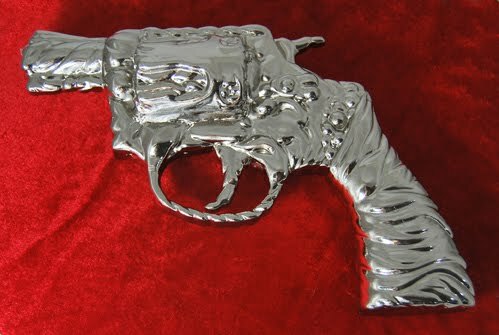 And our first release under the BFA label is "As Cold As They Come", a cast pewter & chrome-plated replica of the painting by Mark Dean Veca. 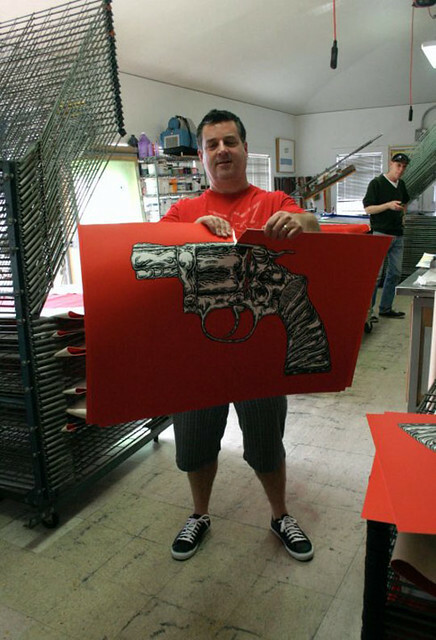 Created for Mark's 2009 show at the Jonathan Levine Gallery, the painting is Mark's interpretation of Michael Corleone's revolver from "The Godfather". Limited to 100 pieces worldwide, this piece will retail for $300 and will be available direct from Bigshot in November 2010.